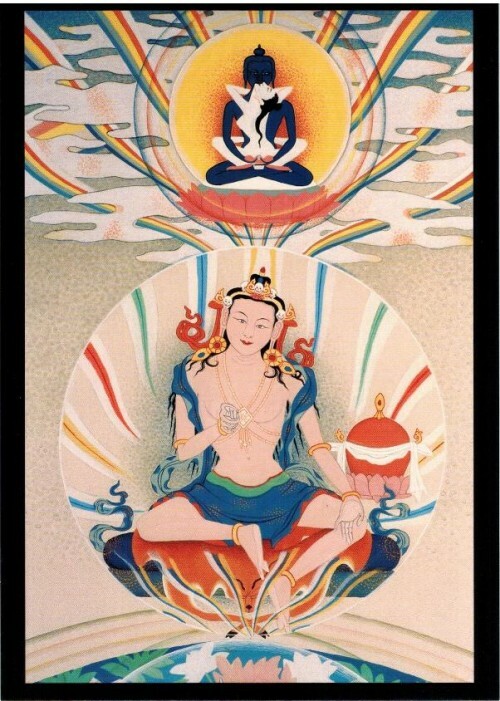 By any chance does anyone have the image of Garab Dorje that appears in the Thun book in a big size? It's the same as the one used in this cover. You can have it printed and enlarge it . It should come out fine. Just wanted to say that we are receiving steady, unconditional support from Tenzin Wangyal Rinpoche, his students in general and some of his local sanghas in particular. It is both much needed and deeply moving, to say the least. I honestly cannot imagine a better response. May the lifespan of the Glorious Guru be prolonged. I pray that the honored feet of Chögyal Namkhai Norbu remain firm. I pray that the Dancing Hero of Intrinsic Awareness may firmly abide. And may his Awakened Activity of benefit and happiness encompass the three planes of conditioned existence. 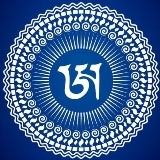 And so it was that on the positive auspicious occasion of Medicine Dawn (sman char) in the Earth Dog Year of the sixty-year Tibetan astrological cycle (rab gnas), the day of celebration for Medicine Buddha, in response to numerous disciples of this Supreme Defender, such as Khandro Pelden Lhamo Drölma and others, who stated the necessity of a long life prayer for the great captain of peace and happiness for all the nations of the world, His Eminence Chögyal Namkhai Norbu Rinpoché, whatever rose to mind, as a supplicating wish to the infinite array of the Three Roots and the Victorious Ones together with their Bodhisattva Heirs, and as a prayer for the stable longevity of this Defender himself, was written down on the slopes of a mountain in the snow country of England, by the Dharma Expounder of the Degenerate Age, a spiritual mendicant of the Śākyan lineage, Khenchen Lama Pelgyeypa Dorjé, or Śrī Émaho; who formulated aspirations just so: May it be virtuous! I appreciate you mentioning that. TBH more lamas should be reaching out at a time like this, and it means a lot that some are. 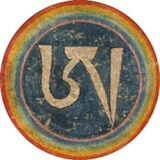 It is the White A of Guru Garab Dorje as found in the Guru Yoga book not thun book. If someone has the Tibetan verses of this I would really appreciate a copy or at least where to find. Does the collective practice book have the Tibetan? It's in the Guru Yoga book. You can also buy an mp3 of it if you want to learn the melodies. Hmm, no Tibetan in my copy just the phonetics. You mean actual Tibetan, not romanized? Why would you need that to perform the practice, or do you want it for some other reason? I thought it had Tibetan as well but I must have misremembered it. Please join us this week at 7:00pm (ET) via the Tsegyalgar East Webcast Channel or in person at the schoolhouse Gompa to practice together Guru Yoga of the White A with Ganapuja, dedicated to Rinpoche. We will send out regular announcements to update you of any changes in our practice schedule. There's an out-of-print book that has the Tibetan text written out for the Guru Yoga of Garab Dorje. I don't own it or remember which one it is, but I've seen older Dzogchen Community members with copies. Check the library of your nearest Gar or Ling. If you can read both Tibetan and Drajyor script, it wouldn't be too hard to write or type out the Tibetan based on the transliteration in the current Guru Yoga book. It's only three verses of four lines each, with the last two lines repeated. The verses share an identical structure, with just a few words that differ among them. but unstained wisdom is buddha. I go for refuge therein. Thanks! I will try that and see how it comes out. Does the collective practice book have the Tibetan? I hadn't noticed that trulkhor means magical wheel. It sounds much cooler now. It means machine, device, posture, etc. Is there some reasoning in the meaning based on the two parts of the word in such cases, or is it mostly unrelated?